When you play you need proper training, fitness and preparation are important prior to playing, and if you neglect to prepare properly, injuries will invariably occur. We understand the importance of good foot health and how it relates to optimum sporting ability. If a basketball player wants to stay on the court, they need to seek professional advice when it comes to their feet. Like most sports, basketball injuries fall into two distinct categories, acute injuries and chronic injuries. 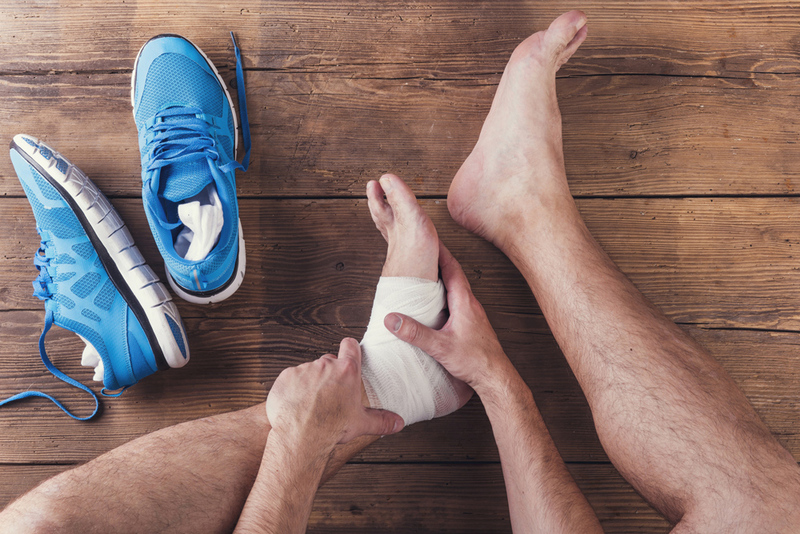 Most foot and ankle injuries, in the acute category, are accidental, and one of the most common causes of injury is stepping on, or landing on a competitors foot after jumping. The most common acute injury would be an ankle sprain, which is why all professional basketball players strap their ankles before taking the court. Muscle and tendon tears and fractures are also very common acute injuries. Even though basketball is a non-contact sport, there is still a lot on accidental contact, on and off the ball, and this is when acute, sudden injuries occur. Chronic, or overuse injuries can be caused by many factors. Most social basketball players don’t have a coach and therefore neglect to warm up properly. Walking from the car to the basketball court, and bending down into your sports bag to get money out for a can of Coke is not an adequate warm up process. Professional basketball players would never take the court without being properly warmed up. Just attend a professional basketball game and watch the players. The players spend as much time warming up as they do playing. Many social players also lack fitness and conditioning, and they think their day-to-day running shoes will be fine, but they fail to realise that Incorrect footwear can lead to many foot and ankle injuries. Another very common cause of chronic foot and ankles injuries is an underlying biomechanical foot fault. Feet that have high arches (excessive supination), or feet that roll inwards and flatten too much (excessive pronation), place increased stress on the feet and ankles, therefore straining supportive tendons and ligaments in and around the foot and ankle. The most common chronic injuries sustained in basketball include Heel Pain, Shin splints, Achilles Tendonitis and Sesamoiditis. Forefoot problems are very common with basketball players because they tend to spend a lot of time on the balls of their feet, in preparation for receiving the basketball. 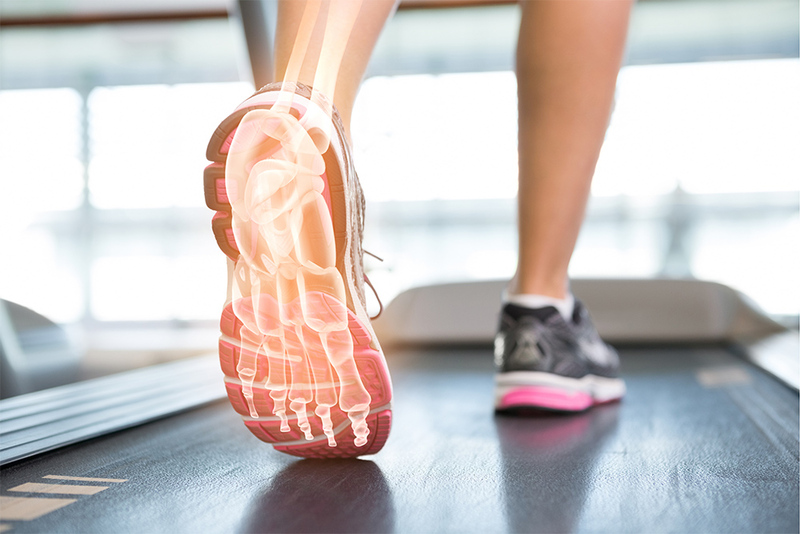 Sesamoiditis has already been mentioned, but another common forefoot problem is numbness in the toes, which may not be because of tight footwear, you may have a Neuroma. While most sensible players will strap their ankles prior to playing to prevent ankle sprains, wear correct footwear designed for basketball, maintain a certain level of fitness, and warm up prior to a game, they still tend to overlook early signs and symptoms of a chronic overuse injury, which can result in long lay-off periods of rest before being able to resume playing again. Returning to your sport too soon will also flare up long-term chronic problems. If you’re competitive by nature, it’s very hard to sit on the sidelines and just watch, but sometimes rest can be the best treatment. Smart players seek proper advice as soon as discomfort is noticed, while the not-so-smart ones will try the ‘play through the pain’. Playing through the pain is a common scenario amongst most amateur athletes, not just basketball, but the end result is usually the same, sitting on the sideline watching the game instead of participating. Act like a professional and seek treatment as soon as you notice pain. If you play basketball and you’re suffering from ongoing pain and discomfort in your feet and lower limbs, get it evaluated as early as possible so you can enjoy the game and not be a liability to yourself or your team.